Intel processors still hold the title as the undisputed champs in desktop speed and performance. Intel’s released 5 new i9 X-Series Extreme processors and despite it’s hefty price tag, they are the top of the line as of this writing. There is nothing faster including AMD’s Ryzen 7 and Threadripper processors which trails Intel by 26% in recent benchmarks. In second place with a much more down to earth price range is the i7 in the same X(Extreme)-Series. The new Intel i9 X Series processors are now available as an upgrade option in our QuadStation systems. These processors push beyond the 4Ghz mark without the need for overclocking. So if you want the fastest CPU available and don’t mind the price, the new Intel i9 X-Series is as fast as it gets. Processors in the lineup include the i9-7900X, 7920X, 7940X, 7960X and 7980XE, with prices ranging between $1200–$2000 for each processor. 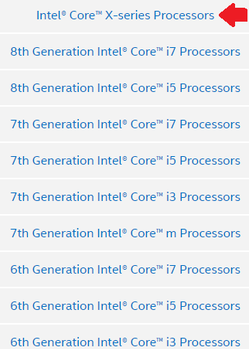 The i7 and i9 X-Series processors are all listed in Intel’s ‘High End’ category. At NTI, we only use Intel’s top processors at any given point in time in our systems. If you are looking for the fastest computer you can get your hands on, we have it. As always, nothing but the best goes into our computer systems. At NTI, we only use processors from the high end category at any given point in time in our computers. Currently that is the Intel X Series shown in the table above. If you want the fastest processor available on the planet and willing to pay Intel’s hefty price for it, the i9 is available. Otherwise go with the i7-X Series which are also in the High End category. NTI manufactures the fastest and most reliable multi-monitor computers in the world. Our QuadStation computer systems continue to get faster as new technology unfolds. This requires that we not only incorporate the fastest processors available, but also selecting the right ‘combination of components’. This ensures that all of the technology in the QuadStation system works in perfect harmony. The Intel i9-9980XE Extreme Edition is the fastest processor available. With 18 cores and 36 processing threads under the hood, there is nothing faster right now including AMDs 16 core Threadripper CPU. With extreme speed of course comes heat, so proper cooling must be used to match the TDP rating of the i9’s. We are not a fan of water cooling systems because there is always a chance of leakage at some point. There are many high end AIR cooled cooling systems such as Noctua and CoolerMaster which are certified to keep this processor properly cooled. ​​The motherboard of choice for this CPU is the Asus X299 Prime Series. 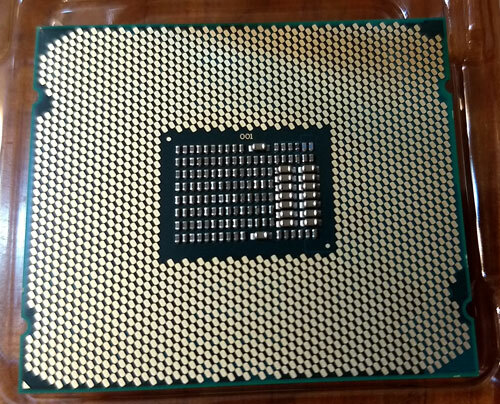 If you want a computer with this i9 processor, we have it. Call us today! It is More About the Core! That’s right. Intel’s fast i7 & i9 processors combined with HyperThreading technology DOUBLES the virtual processing threads. Each ‘thread’ equates to a separate lane of data traffic. More lanes of traffic means more information can be processed simultaneously. Your experience will be an increase in overall speed. Here is how it works. The number of threads essentially doubles the processor speed with virtual cores. The level of Smart Cache is the efficiency of the processor working memory. A common misconception is that your system will not benefit from multi threaded processing if your software applications are not multi-threaded. It is true that a single threaded software ‘application’ will not utilize multi threading. However, Microsoft operating systems from Windows XP forward all support multi-threading. That said, your overall system performance will benefit substantially with multi-threading speed. Also, Microsoft Office products (Word, Excel, Outlook etc) applications are fully multi-thread capable. The future of technology will utilize multi-core processing as the new standard in all computer systems. If you are in the market for a new computer system you most definitely want to include the latest technology to ensure you are ‘Future Ready’. Dual core processor will soon become obsolete in desktops as 8 and 10 core CPU’s become the new standard. NTI always uses the very newest fully tested Intel processors but they must also meet our very stringent quality control requirements. See our Future Ready line of QuadStation Systems. Intel Hyper-Threading Technology: Each physical core, doubled by virtual cores provide massive computational throughput. Intel Smart Cache Integrated Memory Controller: Large last-level cache for ultra-efficient data storage and manipulation. Intel QuickPath Interconnect: Interconnect design increases bandwidth and lowers latency and data transfer speeds. Integrated Memory Controller: Lower latency and higher memory bandwidth deliver amazing performance for data-intensive applications. Intel HD Boost: Allows a new level of processing efficiency with SSE4-optimized application. Digital Thermal Sensor (DTS): More efficient processor and platform thermal control for significantly lower noise emissions. Intel Wide Dynamic Execution: Improves execution speed and efficiency, delivering more instructions per clock cycle. Contact us today for a detailed quote using any of these processors!